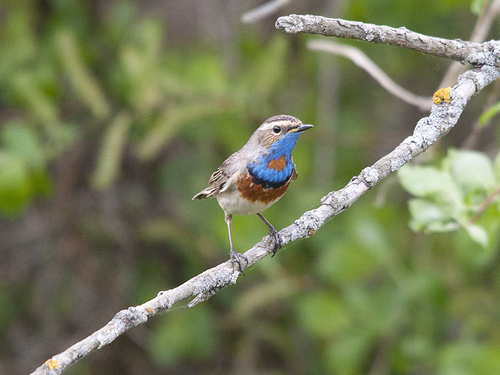 As the name indicates, the Bluethroat is recognisable by its blue chest. There are two varieties: a white-starred and a red-starred one. In the middle of the blue chest one finds either a white or a red spot. 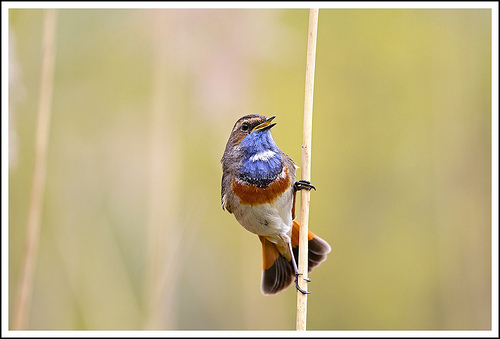 The song resembles the Nightingale's.